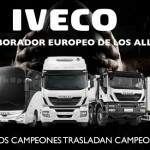 Tractor head IVECO Hi Way AS440S46T/P, automatic with retarder, year 2013, with 453.000km. With more than 30 years’ experience, Fandos Used Trucks Trader is a world leader in the used truck and van market. 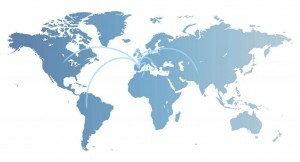 The company imports and exports between Spain to all of Europe, South America, Russia, Asia, Africa and the Middle East. 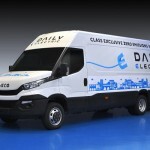 Our range of industrial vehicles includes all European brands, models, years and price bands. As soon as a vehicle enters our stock, we inspect it, and if necessary, repair it in our modern workshop. Our expert employees are qualified to work with all brands and models of truck. The most important point: you will always know everything about the vehicle you are buying. We have a large stock of used trucks. If the truck you are looking for is not in our stock, we will find it for you as quickly as possible. Fandos Used Trucks Trader works hard to achieve a relationship of trust with its clients, and our high repeat buyer rate shows how our dedication gets results. We take care of all export paperwork. If maritime transport is needed, we can take the vehicles to any port in Spain to facilitate delivery to any country in the world. 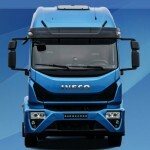 Fandos Used Trucks Trader , your ally in the world of transport and industrial vehicles. Contact our professional team to solve any query, contract any service and purchase or sell any type of vehicle.